What is UI Post-UTME Cut-off Mark for 2014? According to the information released, that you will still read below, the 2014 Post-UTME Cut-off mark of Uiversity of Ibadan is 200. 1. The University of Ibadan, Ibadan, hereby requests all candidates who made the University their Institution of choice and scored 200 or above in the 2014 UTME Examination to submit their bio-data and SSCE, WAEC/NECO results ONLINE through http://www.admissions.ui.edu.ng on or before Monday, 21 July, 2014. (ii) Consequent upon payment of the total sum of N3, 000.00 for Admission Processing and for checking of results at the bank, candidates are expected to submit their Teller Numbers and branch details online. This should be done by logging-in on: http://www.admissions.ui.edu.ng with the JAMB Registration Number and submission of a valid/functional e-mail address and GSM number (for SMS text). (iv) Candidates are then expected to log onto http://www.admissions.ui.edu.ng to submit their bio-data and ‘O’ level results. (v) Candidates applying for the 2014 UI Post-UTME screening should ensure that the on-line forms are carefully filled, following ALL necessary instructions, as “mistake(s)” may lead to disqualification. B (i) Please fill the on-line UI Post-UTME forms in CAPITAL letters only. (ii) Candidates can return to the portal, up till 21 July, 2014 to edit/complete their previous entries or otherwise review and print their submissions. Please ensure that you click “FINAL SUBMISSION” before printing. Applicants should note that no further editing CAN be done after final submissions. (iii) Kindly use functional e-mail addresses and telephone numbers to enable the University reach you in the course of the Admission exercise or whenever the need arises. (iv) Candidates are expected to upload their passport photographs and signatures. The image format for the passport and signature is JPEG and must not exceed 50kB. The photographs must be on white background showing both ears, without glasses, cap or headgear. 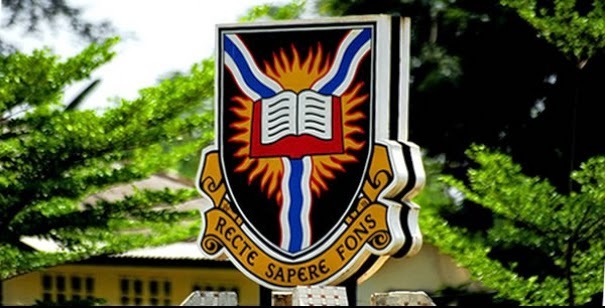 Candidates that are duly registered and processed for the Post-UTME Screening exercise of University of Ibadan will access their screening details on the admissions portal at a date to be announced later. 3. Candidates should please note that it is only when an ‘O’ level result is deficient for a course of choice that another deficient result may be presented to complement. Candidates presenting two ‘O’ level results (6 credits at 2 Sittings) should ensure that the comprehensive details of both results are submitted. 4. The deadline for submission of bio-data / ‘O’ level results may not be extended. Any candidate whose data are not submitted within the stipulated time may not be considered for Post-UTME Screening and for admission. 5. Misrepresentation/falsification of documents is a serious offence. Candidates are therefore advised to submit genuine documents only. Anyone found guilty of this offence will be disqualified automatically and in appropriate cases, be handed over to the Law Enforcement Agencies. 6. Candidates are strongly advised to adhere strictly to the guidelines stipulated above for successful completion of the online submissions. 7 Finally, candidates are requested to note that payment of the sum of N3, 000.00 is for processing of each applicant’s application and for checking of result. This does not guarantee admission.